As one of the most famous Greek islands, praises of its legendary beauty has been sung around the globe. 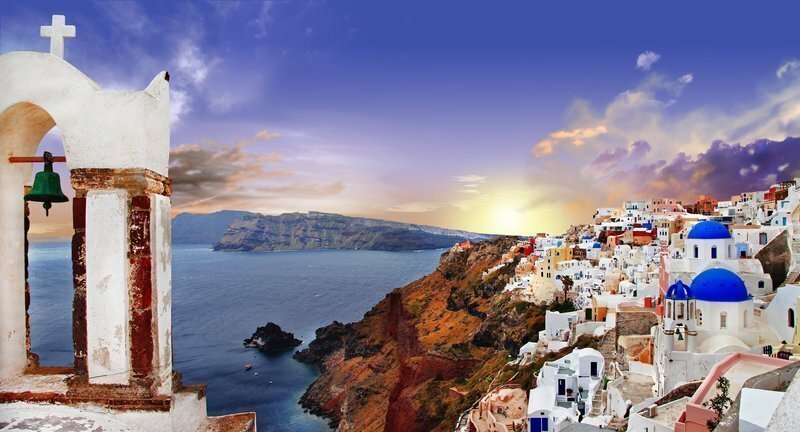 Its name may be a delight to the ears, but the island of Santorini also sings with a plethora of sweet-sounding investment opportunities, putting its real estate market on center stage. Its appeal is undeniable. A quick Google Images search and the results page fill with immaculate white structures, sprinkled with bright blue domes matching the rich azure of the Aegean, covering its hillsides. Immediately, it calls to mind the captivating convivial spirit of Mamma Mia! But in truth, the star-studded island of Santorini offers so much more. Take a closer look, its rugged landscape – a product of a series of devastating volcanic eruptions – is unique among the other Cycladic islands, with its mountains, volcanic craters, and famous Red Beach and White Beach. This, along with its ancient ruins, rich cultural heritage, and idyllic climate, contributes to the island’s magic. Demand in the Santorini real estate market is largely dominated by 2 property profiles: Luxury villas used as vacation homes and the acquisition of residential complexes as investments. Among the most requested are coastal luxury villas with sea views and 3 bedrooms, on average. Many respect the traditional Mediterranean-style architecture, airy with concave ceilings and outdoor living spaces overlooking a dreamy panorama and glorious sunsets. Others boast historical neo-classical frameworks, left behind by wealthy families of the 18th and 19th centuries for privileged new homeowners to fill with their own contemporary visions of luxury. These types of properties are typically located in popular seaside villages like Fira and Oia. Similarly, those who in search of a rewarding renovation project that can indulge both their aptitude for aesthetics and business are attracted to the residential compounds frequenting the market, oftentimes secluded on the outskirts of authentic Greek settlements. For example, the exceptional Adelante 88 and its five luxurious villas, with sweeping views of the Caldera, are for sale near the traditional town of Akrotiri – and it’s paradise on Earth. Real estate prices are very affordable compared to other luxury destinations around the world and vary anywhere from 6 to 7 figures, depending on size, status of construction, and placement. But we can tell you this, the most sublime are equipped with every luxury imaginable: wellness area, fitness centers, wine cellar, infinity pools, extravagant gardens, and of course breathtaking panoramas. The Greek government encourages foreign investments, partially to support the country’s economic recovery and tourism industry – and for good reason. Santorini is one of the most visited islands in the world, and so in terms of profitability, the potential is substantial: the rental yield in Santorini averages approximately 6.4% a year. Many foreign investors have already seized the opportunity. They have come from all over the world – the majority from Central Europe, Scandinavia, the United States, and the Middle East – to acquire family estates and stakes in profitable creative projects. This gives the island a cosmopolitan air, and though the official language in Santorini is Greek, English is widely spoken. The Santorini International Airport in addition to the island’s warm, hospitable culture welcomes buyers and investors to take part in its brilliance.